I work in PrestaShop, an open source e-commerce solution to integrate and co-ordinate with payment gateways such as DirecPay, Google Checkout, Authorize.Net, Skrill, PayPal, PayPal Payments Pro (Direct) and EBANX Checkout via their respective APIs on your site to customize an easy payment system for your customers. I can even offer further payment modules if required. I prefer PrestaShop for you for its unique advantage of it is written in PHP and based on the Smarty template engine. It is currently used by more than 165,000 shops worldwide. It has even default database engine as MySQL. PrestaShop is the winner of the 2010 and 2011 Best Open-source Business Application awards. I can navigate your payments into 63 languages using PrestaShop, and all the major European languages like English, French, Portuguese, German, Spanish, Italian, Dutch, Polish and Russian having full support in all its released versions. I can arrange technical support via Paid support plans or free support on the official forum of more than 600,000 active members of PrestaShop growing Community. The software has an extensive use of developer friendly AJAX as admin; I can easily add module blocks to the store to provide extra functionality. It allows me customize things for you to hide default tabs, create new custom tabs and Management tabs. You can enjoy more control on your site. You can have a customized control over back-end configuration like currencies, deliveries, shipping, advance ordering etc. You will able to create, edit and delete all these utilities as I will customize these for your support. 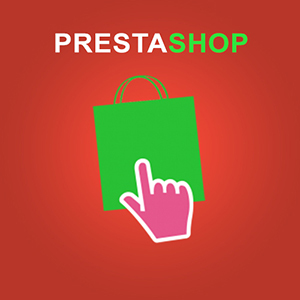 If you require, I can also add on modules and themes entitled PrestaShop Addons by PrestaShop. The other advantage why I like PrestaShop is freelancers through the world, support and contribute their own Add-ons to PrestaShop, often program additional features for the software, on top of the 310 features available by default. To implement and enjoy the most secured, effective and up-to-date payment system in your e-business contact me to avail my expertise on PrestaShop.